As one of the largest employers in Wauchope, we’re always on the lookout for people who share our vision, genuinely want to make a difference and who aren’t afraid to go above and beyond the call of duty, to join our team. 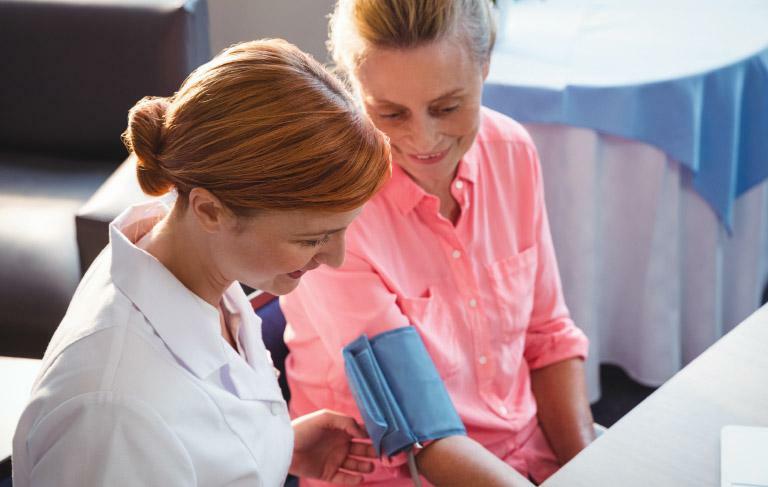 When you join the team at Bundaleer you are joining a company committed to enriching lives…and this starts with our residents and clients and extends right through to our employees. There are many different opportunities at Bundaleer and we are always interested in talking to Aged Care Professionals who are committed to care in the same way that we are. Like to find out more about Bundaleer? Call, email or just pop in for coffee. We would love to meet you! Let’s face it – we all like to think we can make a real difference. So why not consider joining us at Bundaleer as a volunteer, where you can make a real difference in little more than an hour a week! You would be joining a team of more than 21 people who give their time each week to serve alongside more than 160 staff in helping to literally transform lives. Opportunities exist in Residential Care, Lifestyle, In-Home Care, Retirement Living and Lifestyle Services to support our residents and clients at Bundaleer. Bundaleer is committed to the continued education of all our employees. We believe that the more we can nurture an interest, the more empowered our employees become and the more opportunities will become available to them in the future. Education is an ongoing process for all of us and we support this with a number of initiatives at Bundaleer. Learn new roles on the job while you are mentored by key personnel to give you confidence and belief in yourself. And compliment this mentoring by studying online with TAFE NSW. We offer a huge range of training options at Bundaleer and while some training is mandatory, there are a huge number of training options available for those interested in furthering their careers. An Australian School-based Apprenticeship or Traineeship (SBAT) could be ideal for those of you who are focused on your career and wanting a leg-up on your peers – by training in your field of choice as a part of your Higher School Certificate. With the SBAT program you get to combine part-time work at Bundaleer (in Aged Care, Catering, Horticulture or Administration) with a structured, Industry approved training and attend school part-time too. And the best part about an Australian School-based Apprenticeship or Traineeship is that it counts towards your HSC, and once completed you will gain a nationally recognised qualification, and have loads of first-hand experience. Interested? Call us on (02) 6585 2811 to discuss your options. Are you living in, or waiting for, social housing? Would you like to be supported through subsidised training that could help you secure a job at Bundaleer? You must be 17 or older and out of school to participate in Career Pathways. You may need to prove exemption from enrolment in school. Bundaleer is committed to the ongoing development and has made training available for all staff through the MOOC program at the University of Tasmania. MOOC stands for Massive Open Online Course and it is a free, web-based distance learning program designed for the participation of large numbers of geographically dispersed students. 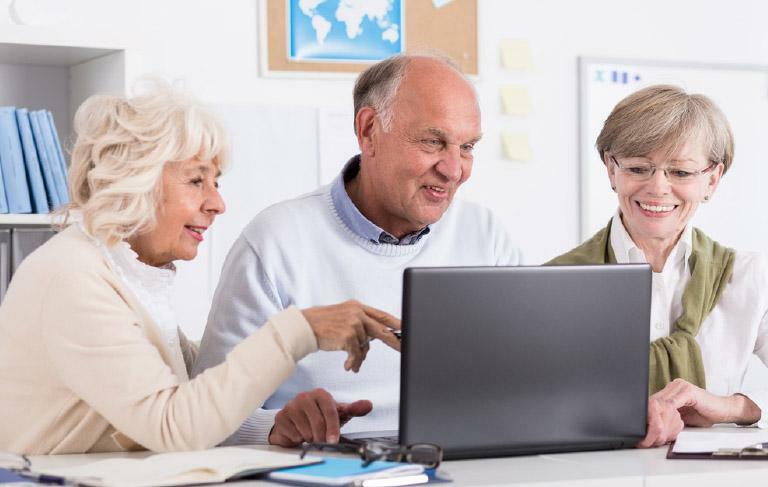 While there will continue to be mandatory training sessions for staff to benefit their day to day jobs in areas specific to Aged Care, there is also opportunity for staff to follow their interests challenging themselves and growing their qualifications to take on exciting new roles as they become available. We understand that you may have many questions about options that are available. We’re here to help and would be happy to talk to you about all the options and what needs to happen next. Start the conversation today on (02) 6585 2811.
Who is Bundaleer Care Services Ltd? Bundaleer Care Services Ltd. is the owner of Bundaleer Gardens Village. It is a Public Company, Limited by Guarantee, duly registered with the Australian Securities Commission. 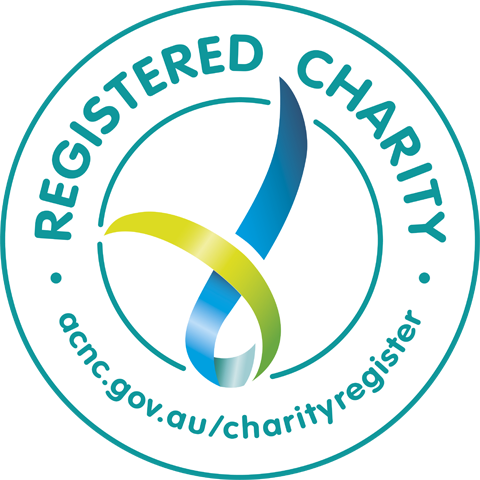 Bundaleer is a community based, Registered Charitable Organisation, “not-for-profit” and public benevolent institute and is registered with the ACNC. What services does Bundaleer provide? 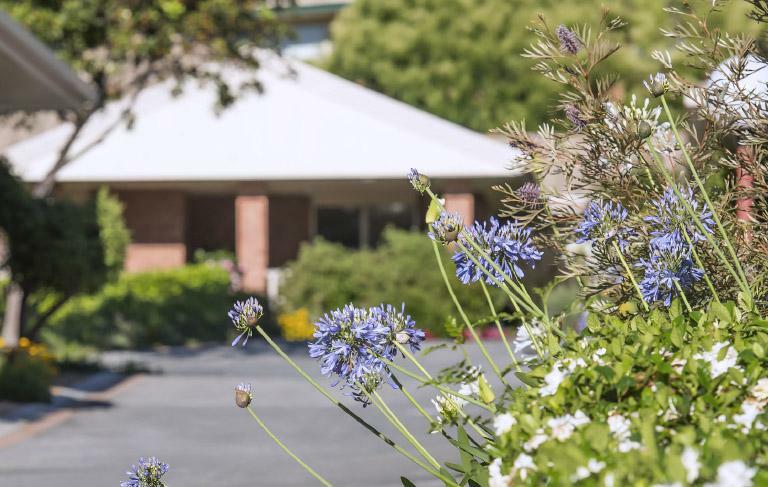 As an accredited Residential Aged Care provider, Bundaleer operates a Retirement Village, Residential Care across two sites, as well as Consumer Directed In-Home Care and Respite packages. 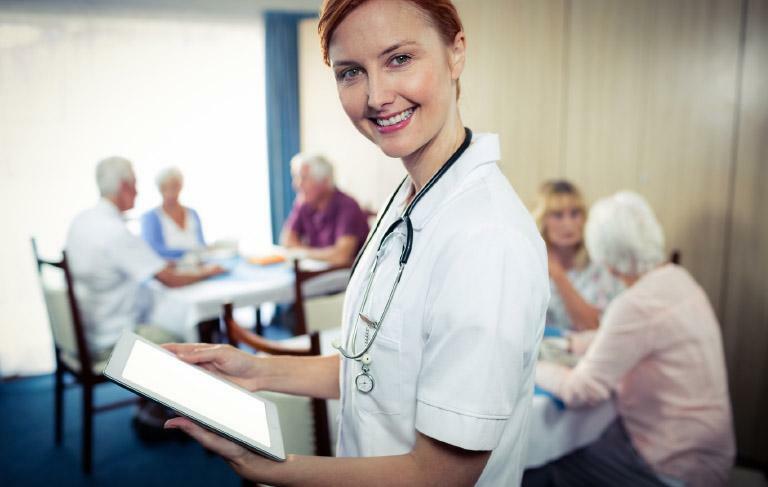 Where are the Bundaleer Residential Care Facilities located? 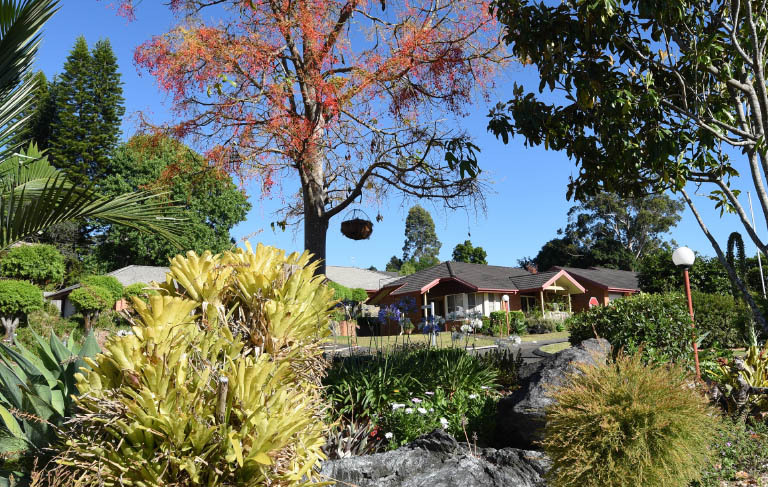 There are two different Bundaleer Residential Care Facilities in Wauchope. The first facility is located at 142a Cameron Street, and is an 84 bed Residential Facility featuring - single bed rooms with ensuite, built-in wardrobe, tea making facilities as well as Registered Nurse Specialists and Care staff rostered on 24 hours a day. The second, located at Johnstone Street, is a 55 bed Residential Facility featuring a combination of single bed with a shared ensuite, 2 beds with an ensuite, 2 beds with shared ensuite as well as 4 beds with shared ensuite. Rooms include built-in wardrobes, tea making facilities as well as Registered Nurse Specialists and Care staff rostered on 24 hours a day. The provision of appropriate meals, assistance with laundry, cleaning, bed-making and social activities. The provision of emergency assistance anytime if required. Supervising and taking of medicines and help with treatments such as eye drops and ointments. 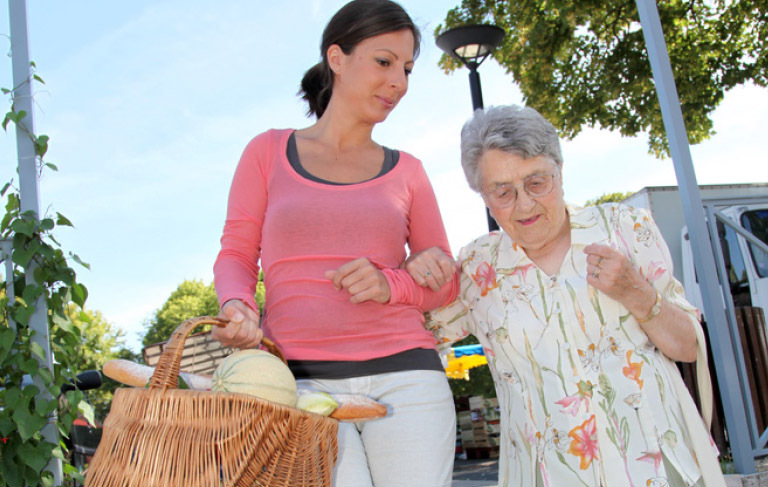 Help in going to the toilet and with continence challenges. Three meals a day and where needed, help with eating. Special diet for medical or cultural reasons. Each facility offers residents a level of privacy and independence that they would expect in their own homes, as well as providing a range of social and community activities with new things to do and the opportunity to make new friendships and connections. Bundaleer Gardens is located at 142a Cameron Street, Wauchope. Set on twelve beautifully landscaped acres in the picturesque Hastings Valley town of Wauchope surrounded by one of Australia’s finest hinterland and the beautiful Bago Mountain Ranges in the background, you can’t help but relax in the peace and tranquility. Bundaleer features a range of well-designed, affordable and secure homes constructed using attractive brick and quality materials. Choose from our range of 1, 2, 2 bedrooms plus study or 3 bedroom homes featuring a modern kitchen, living room, courtyard and laundry, plus garage or carport. 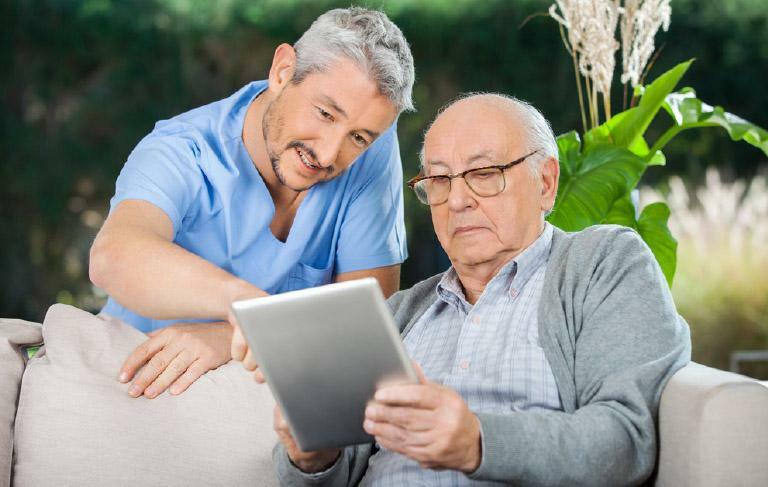 How can I access Aged Care at Bundaleer? 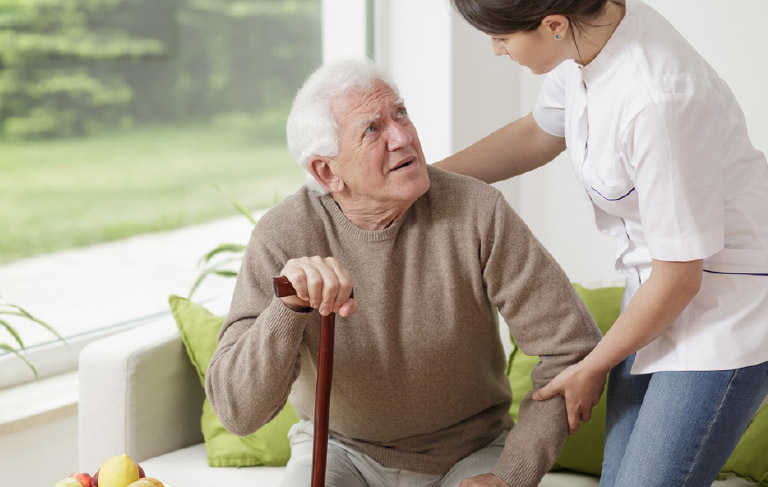 Before you can move into any Government subsidised Aged Care Facility, you need to have a comprehensive assessment to identify the type and amount of care you will need. 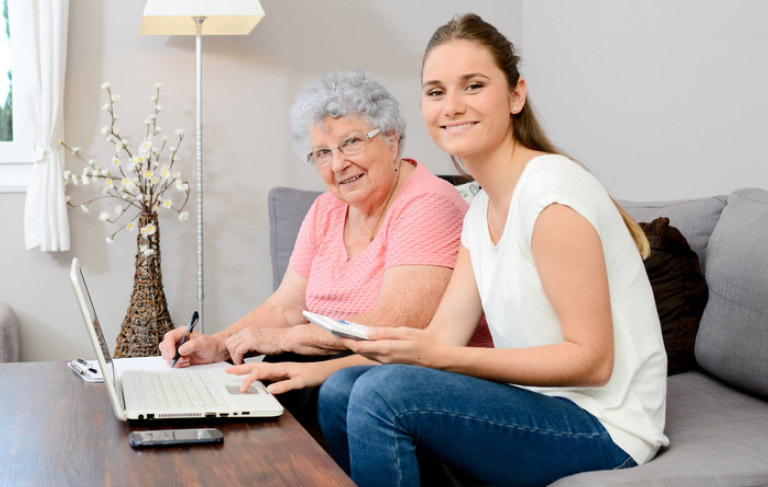 This comprehensive assessment is undertaken by an Aged Care Assessment Team (ACAT) and is usually referred to as an ACAT Assessment. We love our volunteers at Bundaleer and work with our volunteers to ensure they are working on projects they love. Opportunities exist in Residential Care, Lifestyle, In-Home Care, Retirement Living and Lifestyle Services in supporting those we care for at Bundaleer.